Current list of Kroger Catalinas! A Catalina (CAT) is a reward coupon that you receive at checkout for buying a specified product or poducts or spending a specified amount on certain products. For Example: Buy 2 Kraft dressings and get a $1 OYNO Catalina. Another example is: Spend $15 on Olay face care and get a $5 OYNO Catalina. What prints from the Catalina machine? The Catalina machine at the checkout will also print advertisements for current or upcoming catalina promotions. It will also print coupons sometimes based on customer buying habits and sometimes it just prints randomly. Some offers are meant to be distributed only to specific customers based on shopping behavior. You must scan your shopper’s card in order to receive the reward and it will state on the advertisement that it is exclusive for you and will usually track your total spent on the printout that you get. How can I use the Catalina printout I got at checkout? You can use the OYNO Catalina coupons like cash on your next order (OYNO). 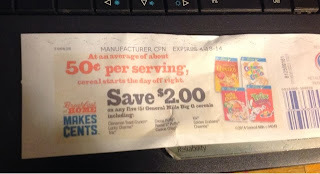 The ones that print out for a specific item can only be used on that specific item or items, for example: $2 off 5 boxes of General mills cereal Catalina printout can only be used on 5 boxes of General mills cereal. How many Catalina's can I get? Taking advantage of these offers can really add to your money saving strategies! 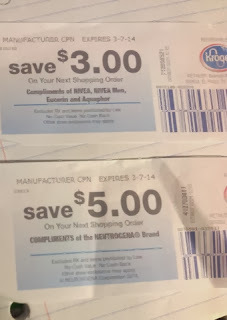 New To Kroger, read our Kroger 101 page HERE◄ to get started. ◄◄PRINT THIS COUPON BEFORE ITS GONE!!!!! Total: $40.34 - Minus $12 in coupons = Pay $28.34 OOP & Get back a $10 and a $5 OYNO!! ◄◄HOT HOT New Coupon!! Print it before its gone!!! 1-888-826-8766 or fill out a form here within 14 days.